On March 30, 2016, Sichuan Changhong NewEnergy Technology Co., Ltd., listed stock in national minor enterprises’ transfer system (Three Board), stock code is 836239, being short for "Changhong Energy". So far, Changhong NewEnergy began to write a new chapter in history! 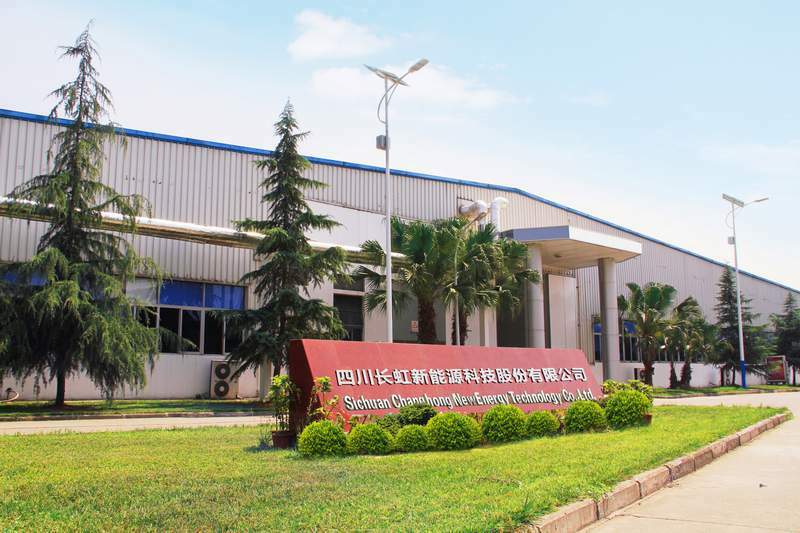 Sichuan Changhong NewEnergy Technology Co., Ltd., the predecessor is Sichuan Changhong NewEnergy Technology Co., Ltd., founded in 1998, is a subsidiary held by Sichuan Changhong (600839), and belongs to one of Changhong’s seven industries. The company specialized in R&D, manufacturing and marketing the technology and products of alkaline battery and lithium battery application and has gradually become the global advanced battery manufacturer and the leading professional service supplier in integrated solutions of new energy battery. It is vice President of China Battery Industry Association Unit, the National Federation of Industry and New Energy Chamber of Commerce Governing Units, the National High and New Technology Enterprise. Sichuan Changhong NewEnergy Technology Co., Ltd. is a new energy enterprise, giving priority to green, environmental protection, clean energy. The company mainly engaged in R&D, manufacturing and marketing of the green, environmental protection, alkaline manganese battery. Company has the world advanced high-speed automatic production lines and on-line round-the-clock quality monitoring production lines, whose annual production can amount to about 1 billion of green, environmental and high performance alkaline battery. The company has rich lines with 9 battery cell production lines, 15 automatic packaging production lines. The production scale has been in the first three levels in the industry. The company will take the chance of logging in the Three Board and developing the environmental battery, sailing in the new green energy field.